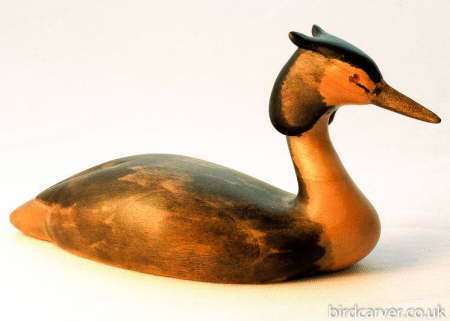 Great-crested Grebe 2 is partially displaying its crest and is sculpted from lime, tinted with chinese ink stick and finished with wax. It is 12 cm (approx. 4.75") in length and is signed by the artist.